You may have noted I’ve made mention of a project I’m thinking about lately, so finally I’m going to bring my ideas out into the open and tell you a bit about the Broomloan Yard concept. Based to some degree on the erstwhile yard at Govan (a quaint fishing village on the Clyde), Broomloan occupies the approximate location that Govan did in the real world, with a few adjustments to suit my own needs. 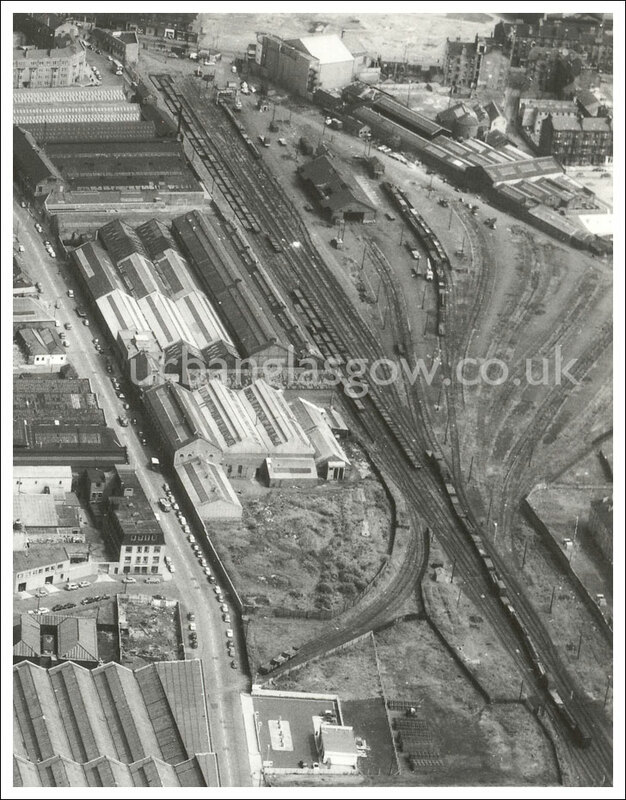 Essentially, Govan yard existed to serve the adjoining shipyards and associated industries and was originally built by the Glasgow and South Western Railway. There was also a passenger station at Govan but this was an early victim of Glasgow Corporations electric tramways. I’m still mulling over my intentions here. Nearby was the extensive Princes Dock complex which was served off the Govan Branch but a line operated jointly by the three Lowland companies which in the early days meant that trains of the SouWest, Caley and NB could all be seen there. In the Broomloan scenario, a chord links the yard with Princes Dock allowing transfer freight traffic to use the yard as overspill during busy times. 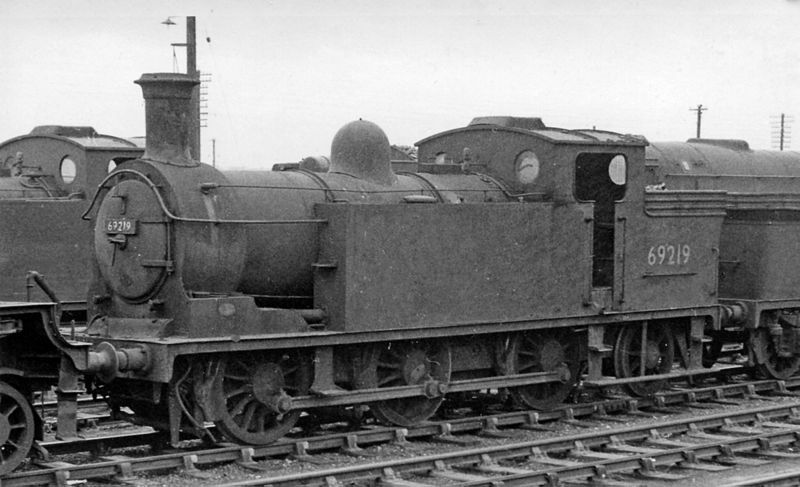 By the BR era, the yard would have been operated by locomotives from Corkerhill and Polmadie, generally of ex-Caledonian design, such as 498 and 782 classes, but incoming and outgoing traffic might be in the hands of a number of types from not only the previously mentioned depots, but also from those on the north bank which offers the potential to bring in cross-city traffic to and from the docks in the hands of ex-NB N15 tanks from Eastfield for example. Naturally, there will be a constant flow of steel plate and beams for the yards, handled by such types a 812 0-6-0s but potentially larger types such as WD and 8F 2-8-0s from Polmadie, when these latter weren’t on their usual work hauling coal and ore from Rothesay Dock and latterly General Termius Quay. Into the 1960s, most of these types fade away in the face of new diesel types, mainly four and six-coupled shunters and Type 1s. Standards and the odd Black Five would still carry steam’s tattered banner. The layout concept is still highly fluid at the moment but my current thoughts are to build the layout as modules that can one day expand into a larger layout if I move home in the future to somewhere layout friendly. Control will be via pulsed DC and the track and rolling stock built to EM standards. I spent the first seven years of my life in this part of Glasgow so whilst I was a little young to remember rail activity there (closed 1966) but it does add a personal connection. 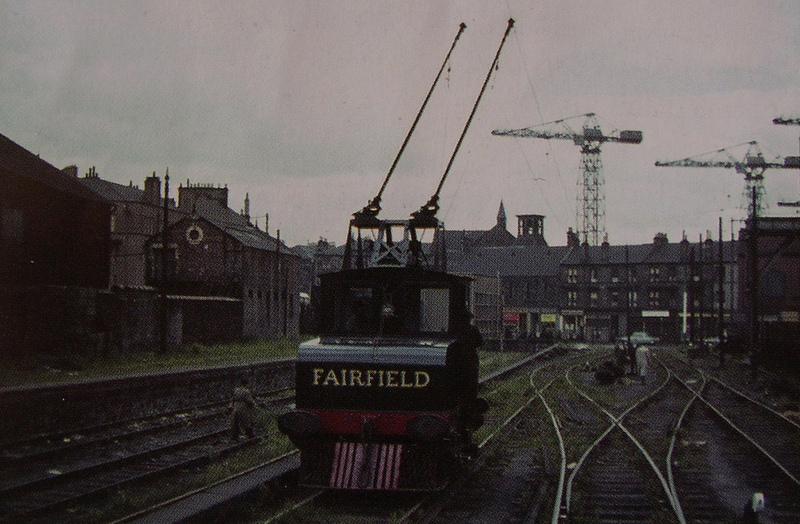 One very unique feature about Govan was the end-on connection with the tramway that allowed the Yard at Fairfield’s to directly collect two or three wagons at a time and run them up the tram lines on Govan Road into the yard. This was accomplished by using their own locomotive, an English Electric type 3B electric, to pick the wagons up and take them into the shipyard. This little loco survives today at Boness, naturally with out overhead tram lines! It’s very, very early days as yet but as ideas form I’ll update the blog! What’s not to like with that concept Dave – so much going on in that last shot of the Fairfield’s tram. Best of luck with the project and looking forward to seeing it develop.